Burj Al Arab in Dubai is home to the world's highest tennis court (at times). 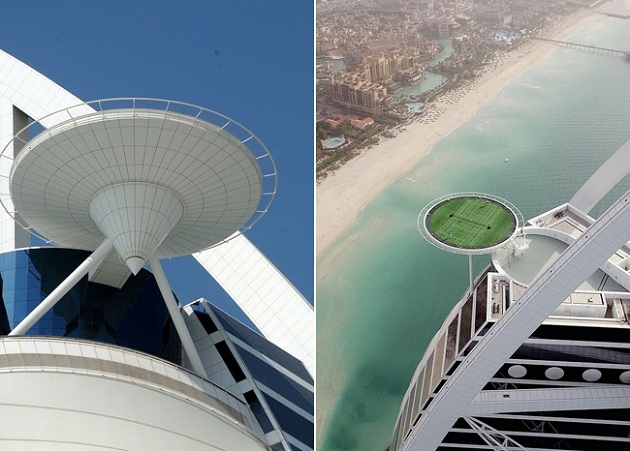 At 210 meters (about 690 feet). The Burj Al Arab in Duabi is one of the famous hotels around the globe. 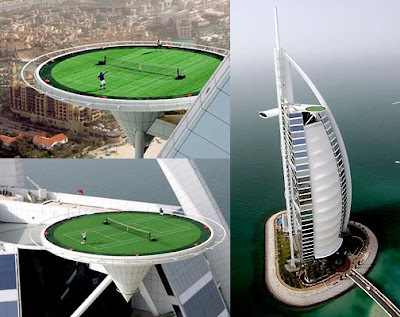 Boasting a 7 star rating, this hotel also measures in as the fourth highest hotel in the entire world. 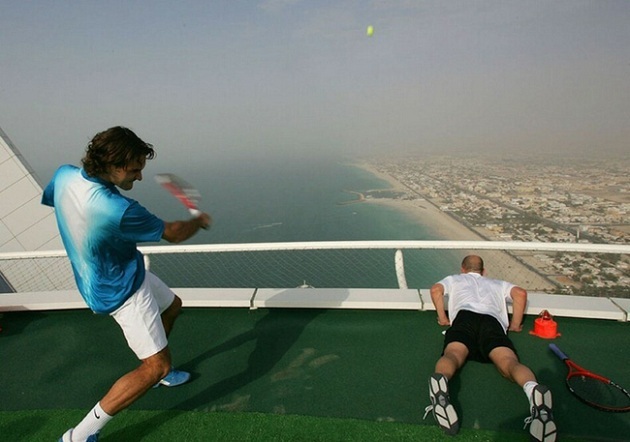 Video of Andre Agassi and some other guy playing tennis up there after the jump. 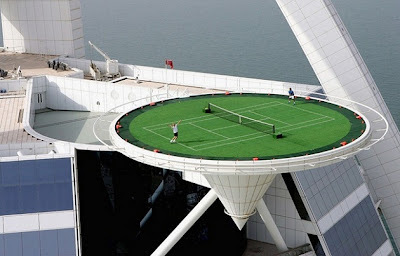 The hotel took the liberty of transforming the helicopter landing pad into quite possibly the world’s most beautiful tennis court. 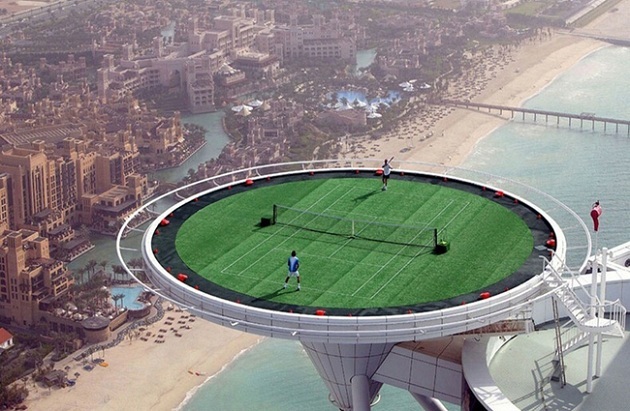 The tennis court is elevated some 1,000 feet over the water showcasing the entire city of Dubai.